Militants in Iraq and Syria are trying to re-create a nation that never existed. Over the past few years, as Syria has dissolved into warring fiefdoms and Iraq has struggled to emerge from its disastrous civil war, American commentators have listed the many failings of the Sykes-Picot Agreement, upon which the Middle East’s state system was based. The 1916 arrangement divided the Ottoman Empire’s dominions in the Arab world into British and French "zones of influence," laying the foundation for the region’s modern borders. 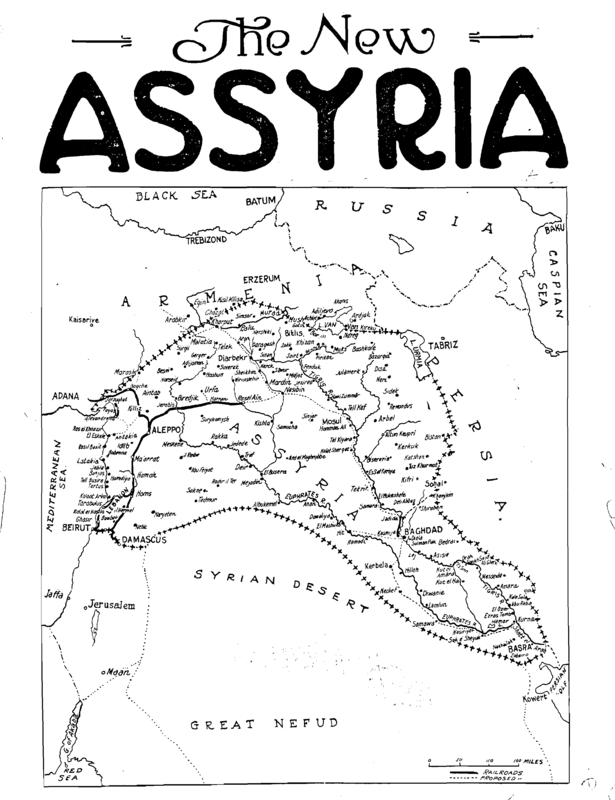 The intense criticism of Sykes-Picot has provoked a backlash of sorts, as some analysts have suggested that piling blame on the agreement has distracted from what has really ailed the Middle East in the post-colonial period. After capturing Mosul, Iraq, the Islamic State of Iraq and al-Sham (ISIS) announced "the beginning of the end of the Sykes Picot agreement," as the Guardian put it. The arrival of better-armed critics of the agreement seemed to herald a fundamental transformation of the Middle East’s borders — but behind ISIS’s recent success lie a number of ironies inherent in both the group’s rhetoric and our own assumptions about the Middle East. For all the imagination with which we’ve mentally remapped the region, we remain strangely wedded to the notion that political upheaval could reveal a new, more authentic set of Middle Eastern borders — based on ethnic and sectarian divisions, perhaps, or the re-emergence of some pre-imperialist geography. But recent developments suggest that if things do change dramatically, force and chance will play a greater role in determining what happens next than demography, geography, or history. Consider the moniker "Islamic State of Iraq and al-Sham." Both Iraq and al-Sham are place names with their own historical and political cachet, but it’s telling that ISIS’s leadership couldn’t come up with a single geographical term to describe its current area of operations. Al-Sham — which has sometimes been translated as Syria, though perhaps "Greater Syria" or "the Levant" gives a clearer sense of the geography — was most recently the name of an Ottoman province based in Damascus. Iraq, by contrast, was a geographical term that came into its own with the arrival of the British in the 1920s. Operating on the sound logic of opportunism, ISIS is claiming to unite two regions that even the first opponents of the European mandate system were content to treat as separate. 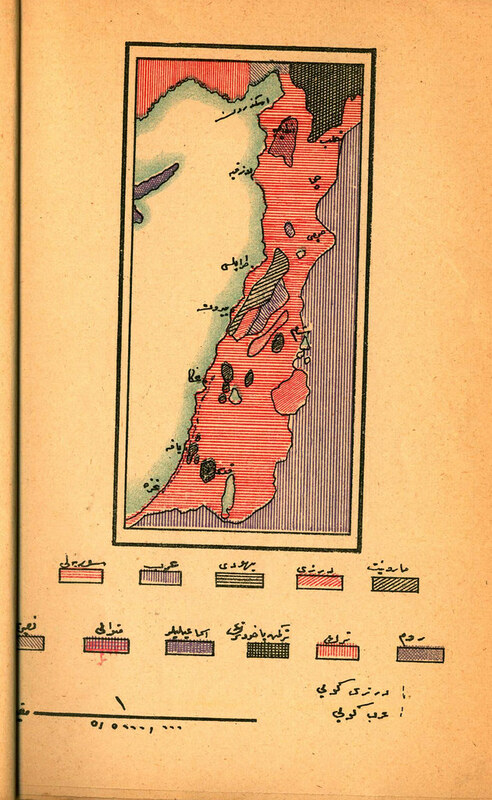 In the immediate aftermath of World War I, some of the earliest Arab nationalists came together in defense of a state covering the entire Levant. 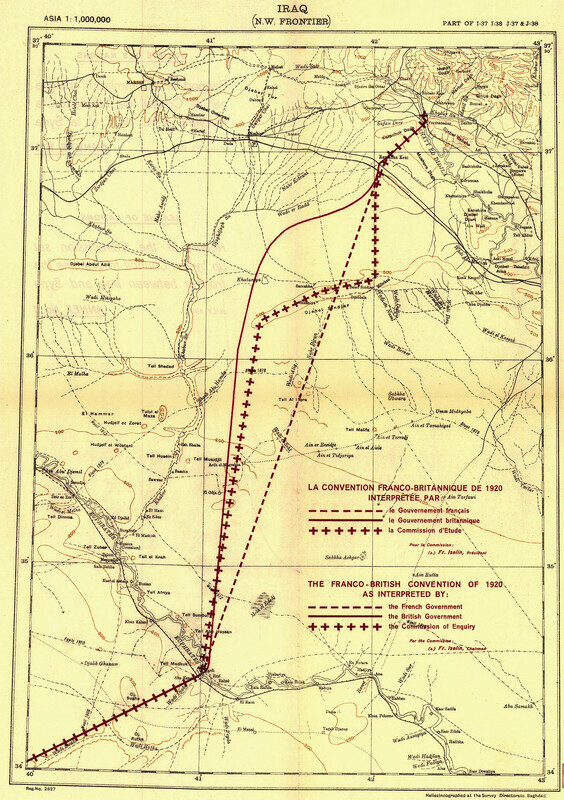 When Faisal, champion of the Arab revolt and later king of Iraq, proclaimed in 1920 a short-lived Arab Kingdom based in Damascus, he imagined its territory stretching from the Taurus Mountains in southern Turkey to the Sinai Peninsula, but not east into Iraq. The fate of subsequent plans to bring together Iraq and Syria is also telling. After World War II, the Hashemite rulers of Jordan and Iraq expressed interest in various schemes for uniting the region. Syria’s leaders, unsurprisingly, thought that they would lose out in this arrangement, which came to naught anyway when Iraq’s army ousted its Hashemite king, alleging among other things that he was a British puppet. Subsequently, the rise of secular-socialist Baath parties in both Iraq and Syria seemed to offer grounds for unification — but power politics and the intricacies of Baathist ideology almost immediately created a newfound hostility between Damascus and Baghdad. Syria’s attempt to unite with Egypt under the banner of Arab nationalism was no more successful. ISIS, which now finds itself allied with Sunni Baathists in Iraq while fighting to the death against Alawite Baathists in Syria, is no more likely to triumph over regional particularism than the regimes that came before it. Instead, the most enduring link between Iraq and Syria today might be the millions of refugees who, over the past decade, have crossed and recrossed the border fleeing violence in both directions. Dreams of transnational unification aside, one of the most striking historical precedents for the area ISIS controlled before last week was the far older division between the settled and nomadic parts of the Middle East. 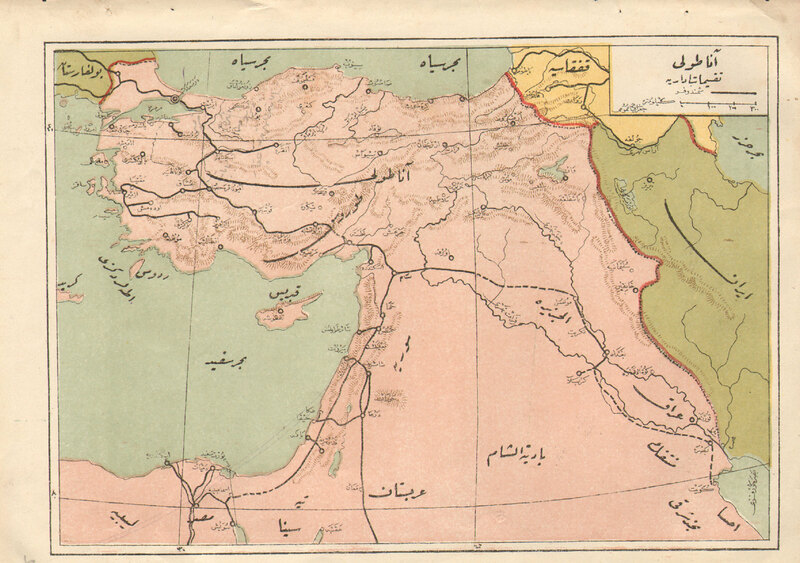 A fascinating Ottoman map from World War I describes as "Syrian" the inhabitants of the western agricultural region that includes all of Syria’s major cities, while those living farther east in the desert are "Arabs." British geography texts from the same period show the same division, in this case between settled "Ottomans" and wandering Arabs who lived in the empty space between Iraq and Syria. As a result, the territory separating Iraq and Syria was never of much importance to the creators of the Sykes-Picot system. At its southern end, this border crosses a stretch of desert that Ottoman and Western cartographers often left blank. The relatively more populous stretch of the border that ISIS’s new pseudo-state straddles made up the Ottoman province of Deir ez-Zor, best known today as the place Ottoman Armenians were sent to die of thirst in 1915. Subsequently, when the British and French carved up the region, it was at least a decade before they bothered to properly demarcate this border. The matter was seemingly of so little consequence that the European powers left it up to a League of Nations commission. The result, complete with thalwegs, trigonometric points, and boundary stones, must have seemed particularly arbitrary to the tribes whose territory spread across it — but it also might not have mattered that much. Throughout the colonial period, the tribes’ transborder grazing and watering practices continued unchanged. In short, ISIS has so far succeeded not by remaking the state system but by operating, like many guerrilla groups before it, from the ungoverned areas between existing states. The backlash provoked by ISIS’s brutal tactics and rapid success also reveals the limits of conceiving of the Middle East along ethnic and sectarian lines. The group’s religious extremism has alienated even its most radical Sunni allies in the fight against Syrian President Bashar al-Assad and has driven half a million Iraqis out of Mosul. Syrians and Iraqis alike have deployed the language of nationalism to denounce ISIS fighters as foreign interlopers in their territory, while Iraqi Shiites are now all the more likely to see Iranian troops on their soil as coreligionists instead of Persian invaders. ood side. Violent chaos on Turkey’s southern border has also been an added factor behind the Turkish government’s ongoing effort to make peace with the country’s Kurdish minority. Although agonizingly slow and beset with false steps, this initiative has nonetheless brought Turkey closer than ever before to ending decades of internal violence and securing its territorial integrity. At the same time, ISIS’s rise has strengthened the hand of Iraq’s Kurds. The Kurdish Peshmerga has taken control of Kirkuk, but rather than trigger a civil war with Iraq’s central government — as it likely would have in the past — Baghdad remains at least temporarily dependent on the Kurdistan Regional Government (KRG)’s cooperation. Of all the region’s actors, the KRG now stands perhaps the best chance of having its independence recognized. Yes, this is a tribute to the power of Kurdish nationalism in overcoming intra-Kurdish political differences. But it’s also a tribute to the KRG’s pragmatism. For over a decade, it has built a functioning state by, among other things, cooperating with Turkey instead of making any effort to liberate what, in the Kurdish post-Sykes-Picot fantasy, would be Northern Kurdistan. Of course, the alternative of simply deferring to precedent and affirming existing borders is often just as illogical. There are plenty of excellent reasons for defending Ukraine’s territorial integrity against Russian aggression — but it’s still awkward that the country took on its present shape when Joseph Stalin gave it a large chunk of what was once Poland. Or consider Saddam Hussein’s selectivity when he justified his invasion of Kuwait by accusing the British of stealing it from Iraq — without ever thanking them for putting together the rest of his country. More recently, efforts to determine the exact frontier between Sudan and South Sudan stumbled when, after searching libraries in Khartoum, Cairo, and London, no one could find any maps showing in detail the provincial borders that the British drew a century ago. Ironically, the most successful effort yet at eliminating outdated borders drawn by 19th-century Europeans remains the European Union. And that consensus only emerged from the belated realization that a century of fighting over the continent’s true borders hadn’t done anyone any good. Sadly, the EU’s gilded dysfunction remains more than the Middle East can hope for in the near future. But the EU’s fundamental insight remains sound: If we are going to discuss the end of Sykes-Picot, let’s first recognize that — no matter how little sense those borders make — none of the alternatives are intrinsically more sensible.